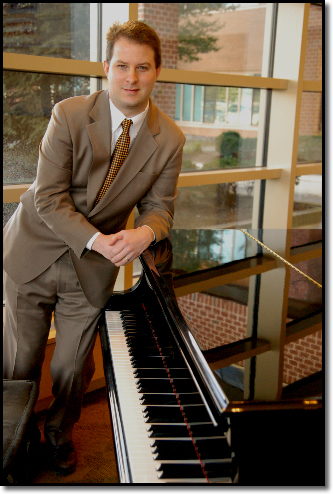 Michael, an accomplished pianist, plays piano for all types of events in New Jersey(NJ), New York(NY) and Connecticut(CT). Whether you are looking for quiet classical dinner music to accompany your intimate gathering or spirited popular music to get your wedding guests on the dance floor, Michael's piano playing is the perfect complement to any party-large or small. Michael's goal is always first and foremost to make your day a special one. With each event, he draws on his large musical repertoire to find music that will suit your unique needs. In addition, he is always happy to discuss the details of your event to your satisfaction beforehand. eighties-and on through until present day. He is also fond of Standards and Broadway. Currently, Michael plays piano for all types of events in the Tri-State Area. Whether you are looking for quiet classical dinner music to accompany your intimate gathering or spirited popular music to get your wedding guests on the dance floor, Michael's piano playing is the perfect complement to any party-large or small. Michael's goal is always first and foremost to make your day a special one. With each event, he draws on his large musical repertoire to find music that will suit your unique needs. In addition, he is always happy to discuss the details of your event to your satisfaction beforehand. *References are available upon request. Please also know that if you do not have a piano at your event location, Michael can bring his own digital piano and equipment.